Although clover honey is what comes to mind when most people think of honey and is a very popular variety, our clover honey is anything but average. All of our honey is produced responsibly to protect the threatened honey bee and we never use any additives or thickeners. Don’t worry about opening the cabinet and finding glass honey jars with only crystallized remnants left. With our five pound jar of bulk honey, you will have a wonderful and bountiful supply. Stock your pantry today! 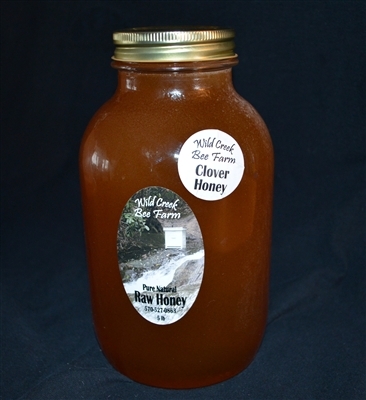 Clover honey has long been beloved not only for its sweet flavor but also for its numerous medicinal benefits. Honey is not only a great source of antioxidants, but also is a safer source of sugar than artificial or highly processed alternatives. Take advantage of those great clover honey benefits in all of your favorite recipes, from homemade barbeque sauce to baked goods.